Draft: 2005, Cleveland Indians, 1st rd. 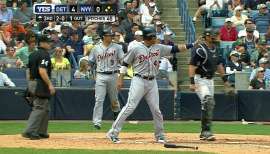 July 20, 2014 Toledo Mud Hens released DH Trevor Crowe. 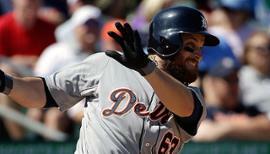 April 21, 2014 Toledo Mud Hens activated DH Trevor Crowe from the 7-day disabled list. March 29, 2014 RF Trevor Crowe assigned to Toledo Mud Hens. 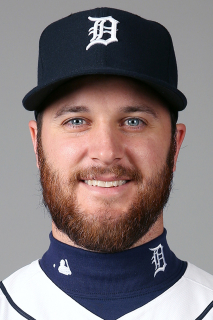 January 2, 2014 Detroit Tigers signed free agent RF Trevor Crowe to a minor league contract and invited him to spring training. October 18, 2013 OF Trevor Crowe elected free agency. October 17, 2013 Houston Astros sent OF Trevor Crowe outright to Oklahoma City RedHawks. September 1, 2013 Houston Astros recalled Trevor Crowe from Oklahoma City RedHawks. August 11, 2013 Houston Astros optioned Trevor Crowe to Oklahoma City RedHawks. July 26, 2013 Houston Astros sent RF Trevor Crowe on a rehab assignment to Oklahoma City RedHawks. July 24, 2013 Houston Astros sent OF Trevor Crowe on a rehab assignment to GCL Astros. June 21, 2013 Trevor Crowe roster status changed by Houston Astros. May 6, 2013 Houston Astros selected the contract of RF Trevor Crowe from Oklahoma City RedHawks. November 20, 2012 Houston Astros signed free agent LF Trevor Crowe to a minor league contract and invited him to spring training. November 2, 2012 OF Trevor Crowe elected free agency. July 17, 2012 OF Trevor Crowe assigned to Salt Lake Bees. July 16, 2012 Los Angeles Angels signed free agent OF Trevor Crowe to a minor league contract. July 16, 2012 Columbus Clippers released LF Trevor Crowe. June 11, 2012 LF Trevor Crowe assigned to Columbus Clippers from Akron Aeros. June 4, 2012 Trevor Crowe assigned to Akron Aeros from Columbus Clippers. May 7, 2012 Trevor Crowe roster status changed by Columbus Clippers. February 15, 2012 Cleveland Indians invited non-roster LF Trevor Crowe to spring training. November 2, 2011 Cleveland Indians sent LF Trevor Crowe outright to Columbus Clippers. September 7, 2011 Trevor Crowe roster status changed by Cleveland Indians. 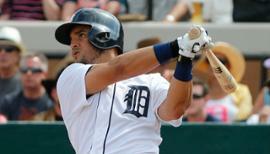 August 30, 2011 sent LF Trevor Crowe on a rehab assignment to Columbus Clippers. August 20, 2011 sent OF Trevor Crowe on a rehab assignment to AZL Indians. March 30, 2011 Cleveland Indians placed LF Trevor Crowe on the 60-day disabled list. Right rotator cuff soreness. May 15, 2010 Cleveland Indians recalled Trevor Crowe from Columbus Clippers. May 15, 2010 Cleveland Indians activated CF Trevor Crowe. March 31, 2010 Cleveland Indians optioned Trevor Crowe to Columbus Clippers. September 4, 2009 Trevor Crowe roster status changed by Cleveland Indians. July 31, 2009 Cleveland Indians recalled Trevor Crowe from Columbus Clippers. June 23, 2009 Cleveland Indians optioned Trevor Crowe to Columbus Clippers. May 26, 2009 Cleveland Indians recalled Trevor Crowe from Columbus Clippers. May 2, 2009 Cleveland Indians optioned Trevor Crowe to Columbus Clippers.